My name is Megan Leece and I am so proud to be Gamma Phi Beta’s Membership Vice President! I am so excited that you are interested in Gamma Phi Beta! We look forward to sharing with you the many amazing aspects of our sisterhood during formal recruitment in September! Going Greek was one of the best decisions I have ever made because it introduced me to so many of the greatest friendships I will continue to cherish throughout my 4 years at Cal Poly! I am so incredibly proud to walk around our campus and be able to wear my letters proud as a Gamma Phi. 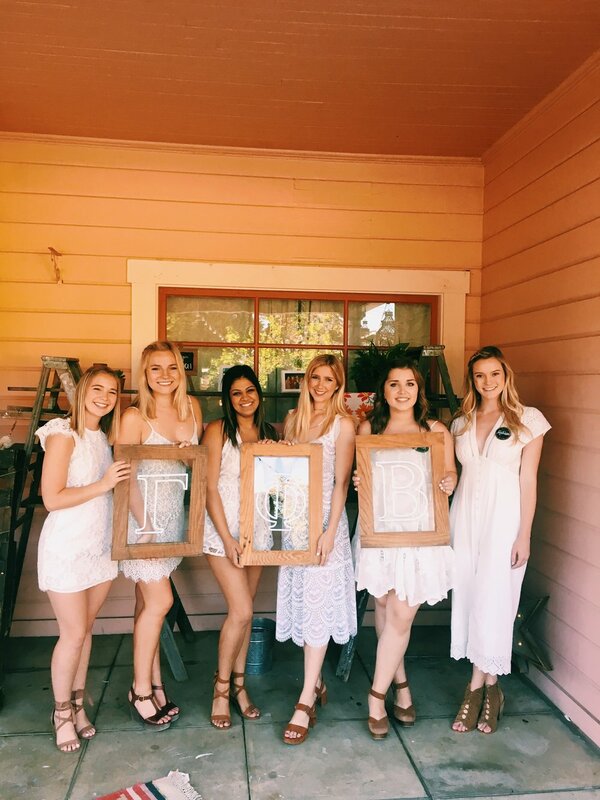 Becoming a member of Greek life allows you to be a part of a organization that is bigger than yourself while still making a difference in the San Luis Obispo community. Gamma Phi has provided me with so many opportunities and the greatest one being the chance to become a confident leader within my chapter. In a school of 18,000 undergrad students, Gamma Phi has given me a home full of strong young women who are constantly pushing one another to be better students and members within the Greek community. My proudest moments and best memories throughout my time at Cal Poly all have one thing in common; Gamma Phi. The recruitment process may seem daunting and stressful, but I want you to know that in the end it is all worth it! If I could offer any advice, I would say remember to trust the process and enjoy it because in the end, you will find your perfect fit no matter what house that may be! Serving as Gamma Phi’s Membership Vice President has been such a privilege and we cannot wait to meet all of you during formal recruitment! Gamma Phi is so excited to welcome potential new members into our sisterhood!